"While whale watching, the little mermaid fiddles with her compass." Model and Mermaid Tail: personal photo and digital painting (not stock). 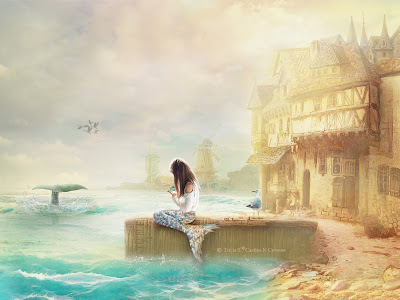 Bg and Sea elements: Lorie Davison's Perilous Voyage scrapbook graphics (personal use only).